I tell this story at every training I give. It was October of 2011, and I was trying something new in my Math Analysis classroom. It was a strategy I had seen during walkthroughs of other math teachers' classrooms, and I thought it had great potential (and it does... I just didn't execute it greatly on my first attempt). It was called "expert teacher" and the idea was that I would teach a small group of 8ish students the skill, and then they would go back and teach their small group of 2-3 classmates. Then, I could walk around and support the groups, but not have to try to instruct all of them at one time. The skill was how to use their graphing calculator to find relative maxima and minima. The majority of my students left that day still confused because their "expert" did not explain it very well. I felt rushed, frustrated, and disappointed, but my optimistic self told my students as they walked out the door, "Still make sure to try those homework problems, and we'll revisit this tomorrow." As soon as they walked out the door, I knew I had to do something. I had gotten a new Aver Document Camera at the beginning of the year that recorded videos straight to my mac, so I put the graphing calculator and some paper under the camera and recorded a quick video that explained the lesson. I posted it on Edmodo and sent it out to my students to watch "if they needed it." When my students came back the next day, I got really good feedback about how helpful the video was, and how easy it was to understand what they were supposed to learn the previous day. Most of them said, "This was actually really easy." I left that second day with thoughts beginning to form in my mind about what it would look like if my students had watched that video before coming in to the "expert teacher" lesson. Would they have been able to get the differentiated support they needed? Would I have been able to go deeper with the material and gotten to more application or analysis work? I did some searching online (at the time I was not on Twitter) for "using video in the math classroom" and stumbled across the idea of something called a "flipped classroom". It was in the middle of the first semester, but I proposed the idea to my students based on our experience with the "expert teacher" lesson, and they thought we should give it a try. So, for a couple weeks, I had my students watch a video explaining the basics of the material for two or three of the lessons. Then, when they came into class, they were able to work together and with me in small groups to apply their knowledge and do the practice. After another month, I proposed the idea to my Algebra 1 class as a "trial" - did they want to try what seemed to be working so well in my other class for just one unit? They struggled with doing homework at home, and I knew a good percentage of the students struggled not because of motivation but because they would forget the content or needed support at home that they did not have. I proposed it to them as a way to be able to get help with their homework during class time, and they jumped on board. It's a long story, but why did I start? 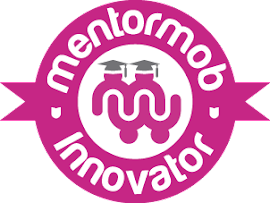 Why was I inspired to flip my classroom, resulting in a completely new philosophy of teaching and learning? 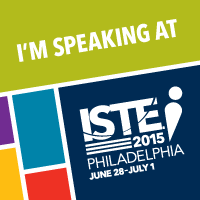 I wanted to better support all my students, and I didn't feel like I was able to do that consistently or effectively. I wanted to be there to help them and challenge them when they needed it the most, and not just "teach to the middle". I wanted class time to be more about them and less about me, where learning went beyond just being able to solve problems I had modeled for them. I wanted them to have more opportunities to demonstrate TWIRLS (see #flipblogs post #1). Flipping solved a problem that I had in a way that nothing else I had tried could. What problem does flipping solve for you? If you don't have an answer, then why are you doing it? If it's because flipping sounds "cool" or "techy" or "modern", then please... STOP. If you think all it means is having students watch videos at home, then please... STOP (or just don't call that flipping). If you think it will save you time or make your life easier, then please... STOP. If you aren't willing to put the time into taking risks and trying new things, reflecting on what is and isn't working in your classroom (including gathering feedback from students), reaching out and collaborating with others to learn best practices and get new ideas, and refining what you are doing in your classroom, then please... STOP. If you want to know more about what my first steps really were, then please check out my 2011-2012 weekly reflections, where you can really see week by week how I started and where I went starting in January of 2012. I think it will be well worth your time. 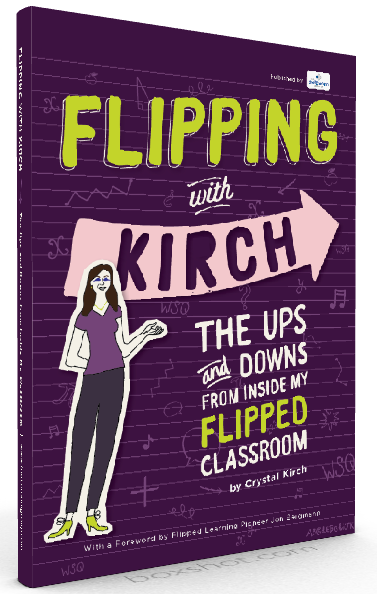 In addition, you can read more about what has worked for me in flipping my classroom in Flipping with Kirch: The Ups and Downs from Inside my Flipped Classroom.